Do you have hair loss? Would you like to re-hair at your receding hairline and bald spots? Do you want to be completely bald? Do you want to have more hair on the eyebrows? Would you like a stronger growth of beard? Then our measurement therapy with medical drugs, vitamins and growth serums is just right for you. It takes 4 to 8 treatments and a few boosters per year to maintain the success of the treatment. This applies in particular for the treatment of hereditary hair loss. 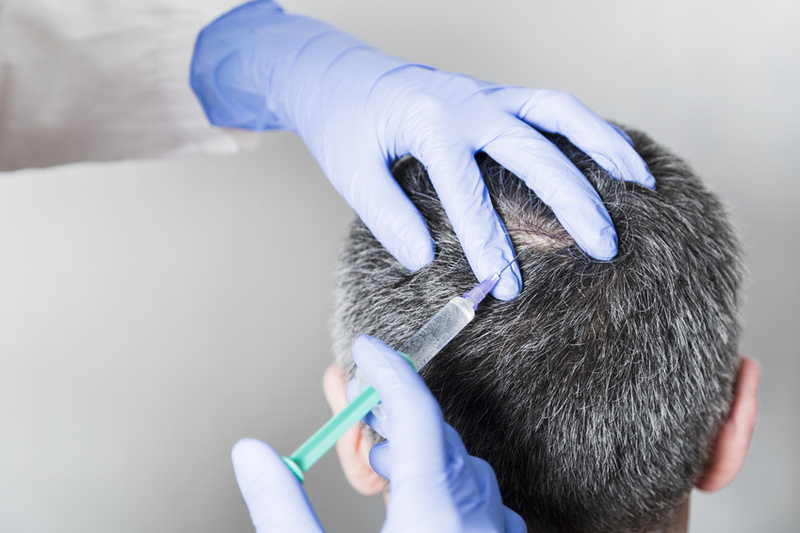 If treatment is discontinued permanently, the natural aging process and hormonal hair loss start moving again. However, mostly long-term improved condition is retained. In other forms of hair loss, the achieved results are permanent. Check it out now.